To cooperate means to work with others for mutual benefits. Subsidence farming, fishing and hunting were early informal forms of joint action. A cooperative is often a formal organization owned and operated by a group of people who share a common aim and usually the profits from the work. Cooperatives in the 19th century were often designed to provide workers with opportunities to enjoy the fruits of their labor, usually in contrast to being employees of a company. Cooperatives to produce energy or food to be shared by the members of the cooperative began in the 20th century. The work of Father McDyer in Gleann Cholm Cille, Donegal to establish small community-based and owned industries for knitting, weaving and vegetable processing, as well as electricity and piped water schemes, exemplifies the cooperative model of economic and community development. With recent emphasis on sustainability, growing out of the Earth Summit in Rio in 1992, and the Agenda 21 project, there has been an expansion of environmental cooperatives, especially for food and energy, notably wind farms owned by the communities where the wind turbines are constructed. 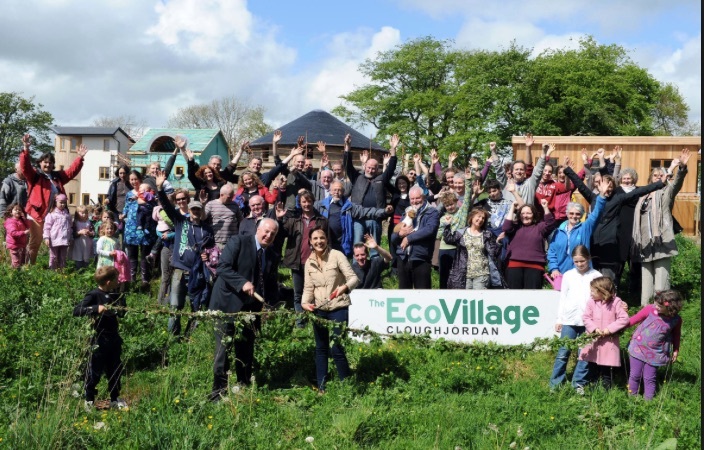 The community-based Ecovillage in CloughJordan, Tipperary, is an outgrowth of this development and run along co-operative principles. Determine whether there are environmental cooperatives in your community and what they cover. Assess the impact that the cooperative has had on the community, including its inclusiveness, its financial condition, and its future. Are there other opportunities for environmental cooperatives in your community, and if so, get involved in developing one.